A 1960s diver gets a modern makeover. Unveiled at Baselworld last year, the Rado HyperChrome Captain Cook was just about the most surprising launch from the brand in years. 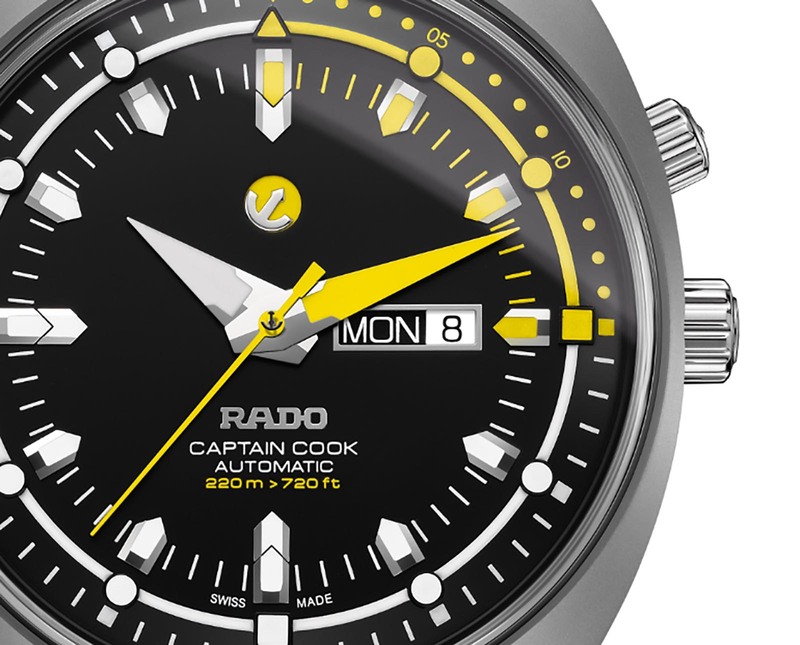 While Rado is best known for its shiny, sleek and all-ceramic watches, the Captain Cook combined faithful 1960s styling with solid specs and a reasonable price tag. 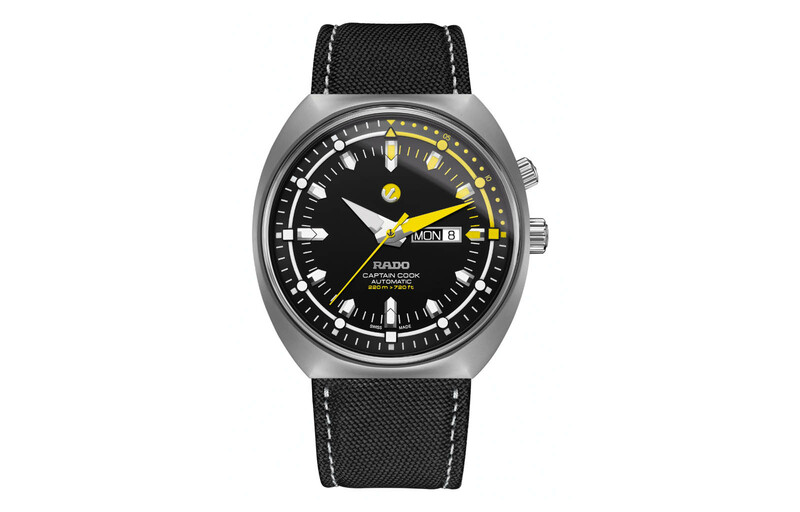 Now Rado has introduced the Tradition Captain Cook MKIII, which is based on another 1960s Captain Cook, this time the tonneau-case version. While the HyperChrome Captain Cook was an out-and-out remake of the vintage original, the Tradition Captain Cook MKIII is expressly a reinterpretation. The watch has a case in lightweight titanium that makes it easy on the wrist despite the large dimensions – 46.8mm wide, 48.3mm long and 13.9mm high. 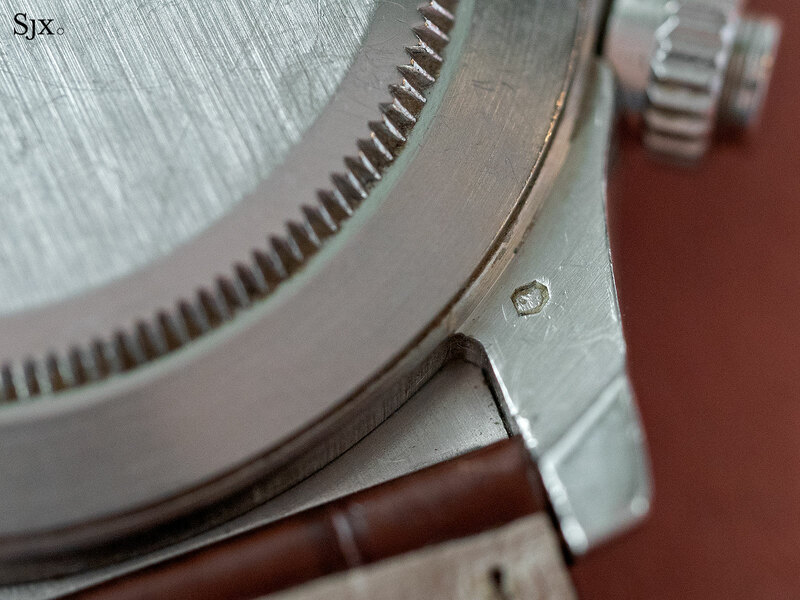 The fit is also helped by the short, almost non-existent lugs that allow the watch to wear like a smaller timepiece. And unlike the HyperChrome which had a 100m depth rating and no screw-down crown, the Tradition Captain Cook is a more serious-minded diver’s watch, equipped with a screw-down crown and 220m water resistance. Inspired by the domed PlexiGlas on the original, the watch is fitted with a “box-type” sapphire crystal. 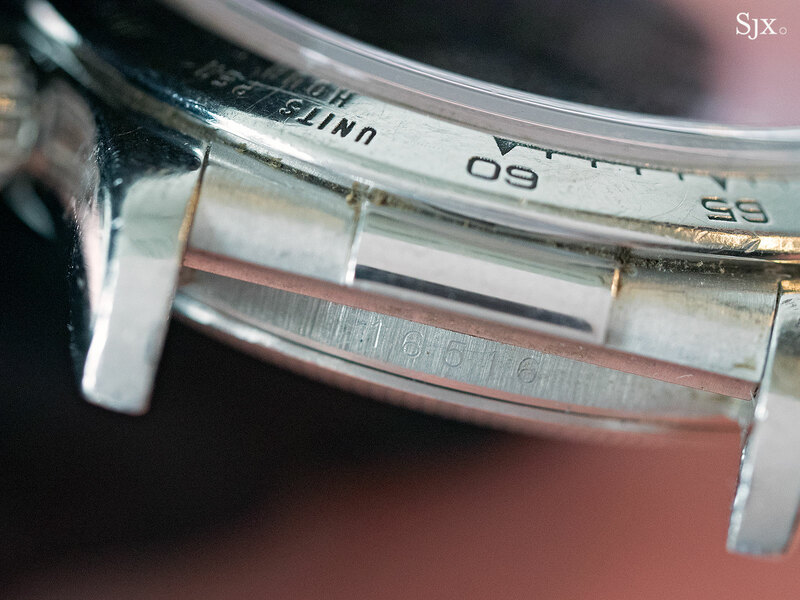 Like many dive watches of the 1960s and 1970s, it features an internal, uni-directional bezel for measuring elapsed time that is operated via the crown at two o’clock. 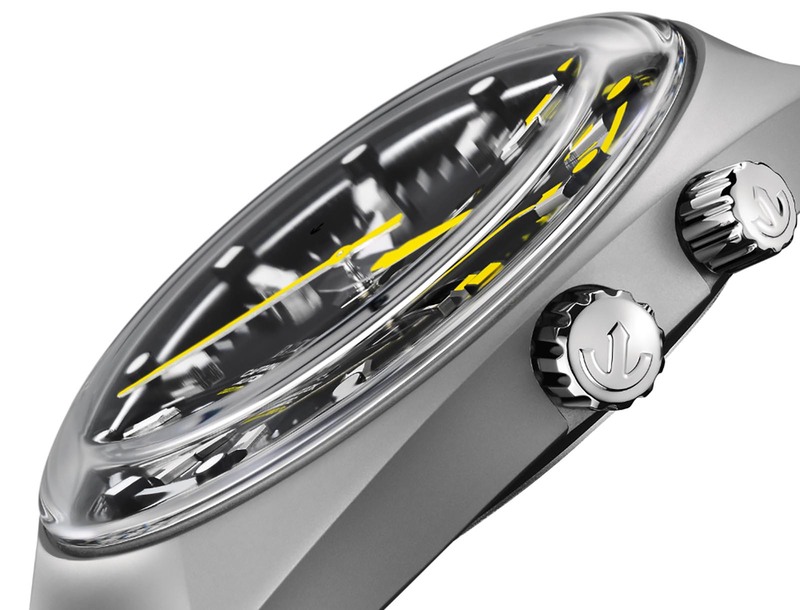 The inner bezel has fully luminous markings, as well as its first 15 minutes in bright yellow to time decompression stops. 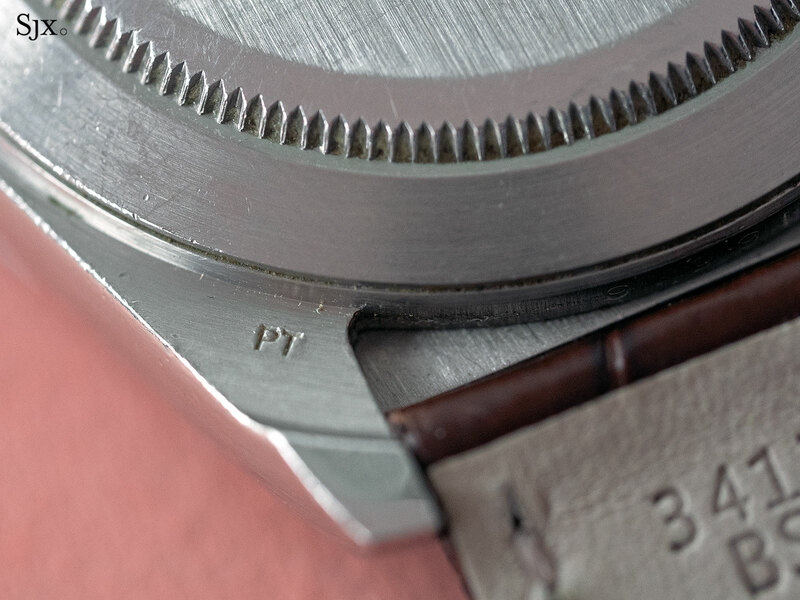 The dial has been entirely redesigned with large, sword-shaped hands and applied indices, a distinct departure from the chunky, oblong hands and markers found on the original. 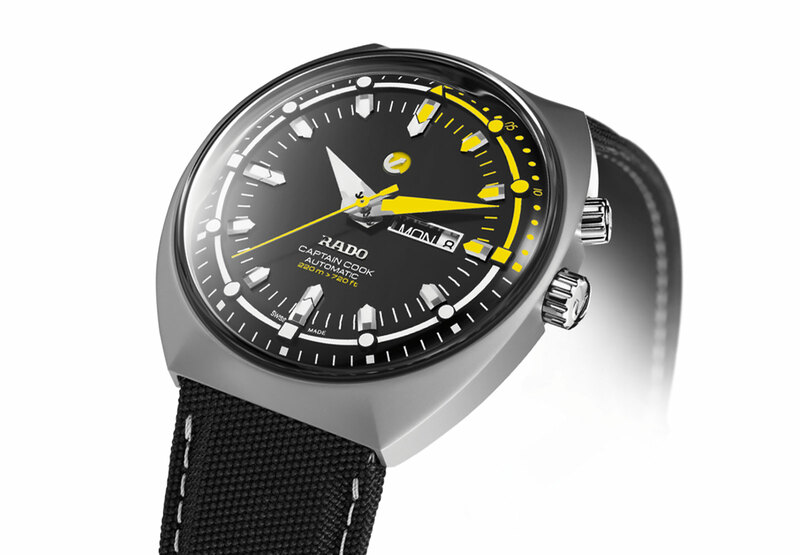 The minute hand, just as crucial in a dive watch, is also in yellow. The Tradition Captain Cook MKIII is powered by the ETA C07.621, the day-date version of a calibre used by several Swatch Group brands; Mido dubs it the Calibre 80 and Tissot, the Powermatic 80. 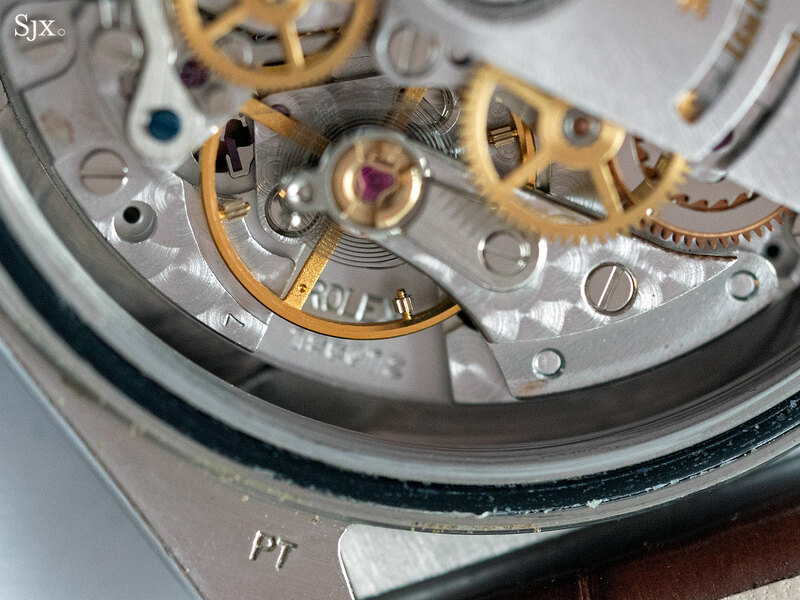 It is essentially an ETA 2836 with an extended, 80-hour power reserve thanks to a redesigned mainspring barrel, low friction escapement and 3Hz balance. 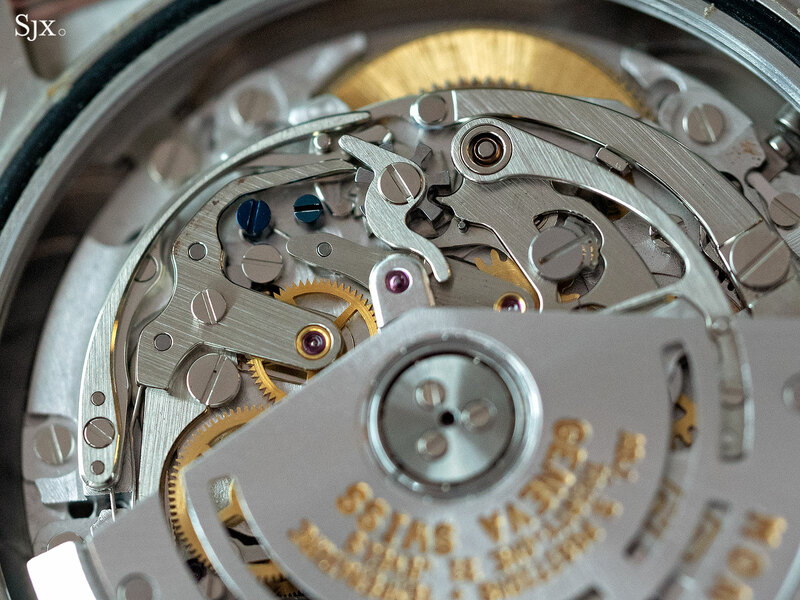 The escapement parts are made of ARCAP, a copper, nickel and zinc alloy that is extremely anti-magnetic, as well as low friction. 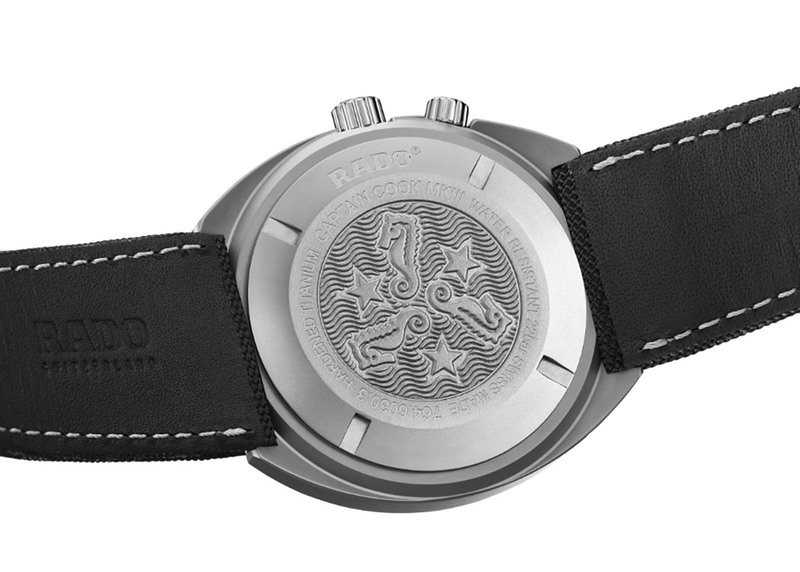 The Rado Tradition Captain Cook MKIII Automatic (ref. 764.6030.3.117) is priced at US$2550. 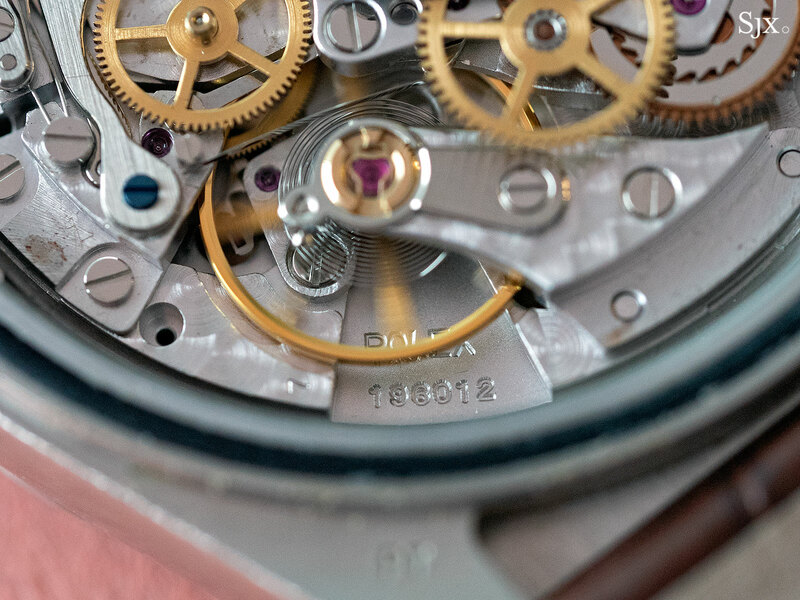 While vintage, manual wind Rolex Daytonas have been all the rage recently, contemporary Cosmographs with automatic movements are arguably as interesting. And relative to the improbable prices that vintage Daytonas go for, relatively good value for money. In the realm of contemporary Daytona watches, the most valuable model without precious stones is the Daytona “Chairman” or “Deep Blue”. This yellow gold ref. 16528 is fitted with a metallic blue dial, which was apparently made as a prototype but never put into production. As the story goes, the loose dials were then gifted to business partners and senior management of Rolex. Phillips sold one last year for SFr552,500, or about US$561,000, fees included. Sotheby’s upcoming Hong Kong watch auction boasts a watch that might top that sum – the Daytona powered by the Zenith El Primero movement, with a 950 platinum case. 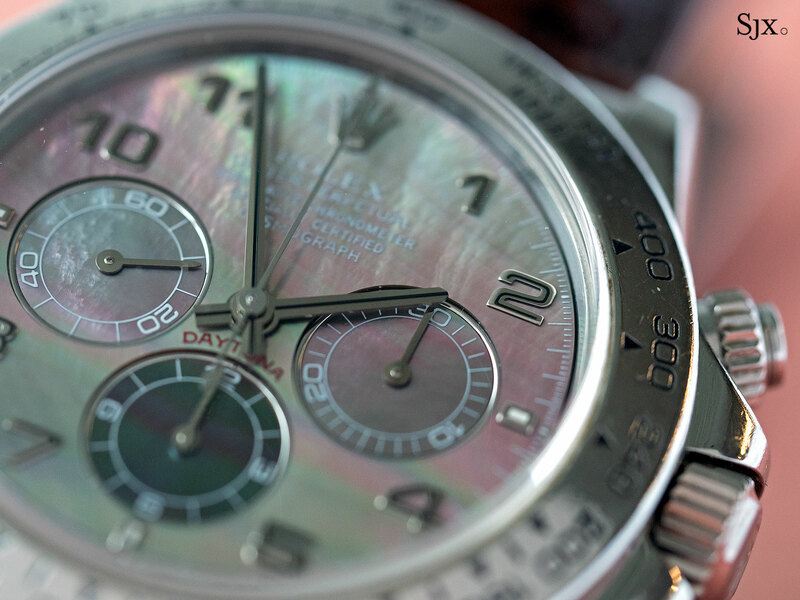 While Rolex did introduce the platinum Daytona ref. 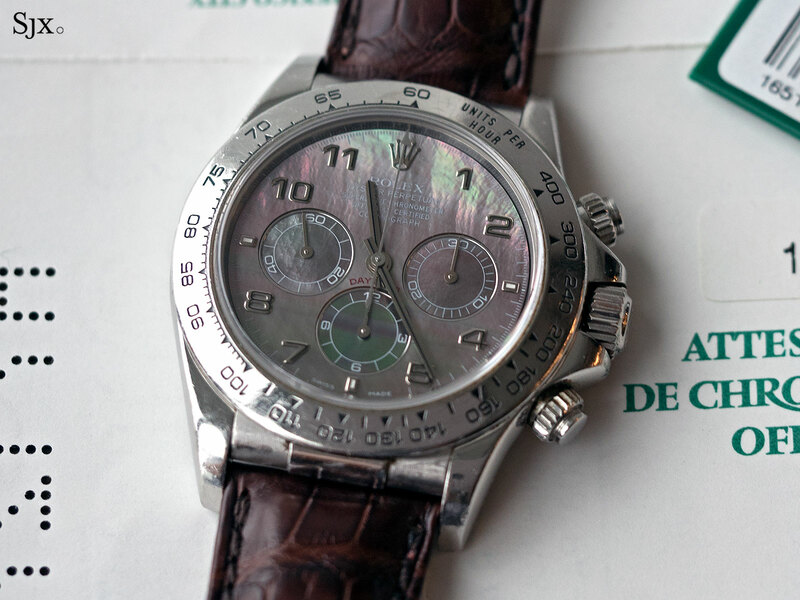 116506 in 2013 to mark the 50th anniversary of the model, the earlier generation “Zenith” Daytona in platinum has long been the subject of whispered rumours. But it is very real. 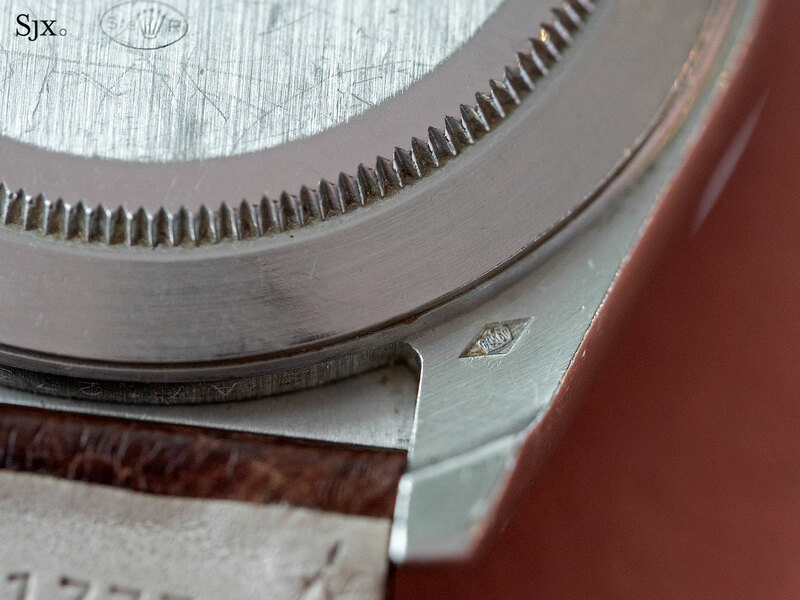 Having its own model reference of 16516, the watch is likely unique with this dial combination. According to Sotheby’s watch department chief Sam Hines, the watch is believed to be one of just five El Primero-powered Daytonas ever made with a platinum case; all five were commissioned by former Rolex chief executive Patrick Heiniger and four were given away to friends and associates. Mr Heiniger was only its third chief executive in Rolex’s history, having taken over from his father, Andre, who led Rolex for almost 30 years after founder Hans Wilsdorf’s death. Together, father and son ran Rolex uninterrupted for almost half a century, or half the company’s existence in fact. Mr Heiniger was appointed managing director in 1992, and abruptly departed “to pursue personal interests” in 2008, much to the surprise of the industry. While there are speculation at the time his departure was linked to the losses related to the Bernard Madoff Ponzi scheme – which Rolex publicly denied – Mr Heiniger passed away in 2013 at the age of 62, after having been photographed looking gaunt not long before. 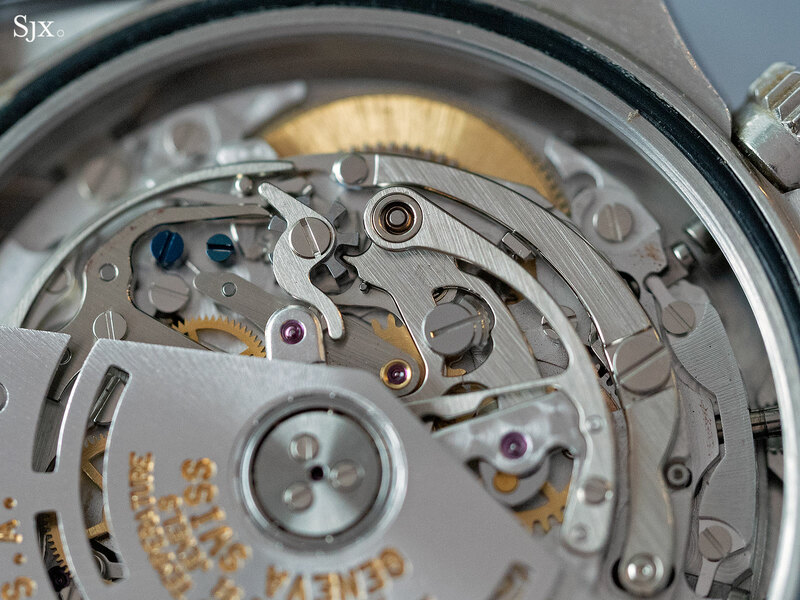 Though it has been a decade since Mr Heiniger left the top job at Rolex, the company today is in large part due to his insistence on vertical integration, which turned Rolex into the impressive industrial giant it is. 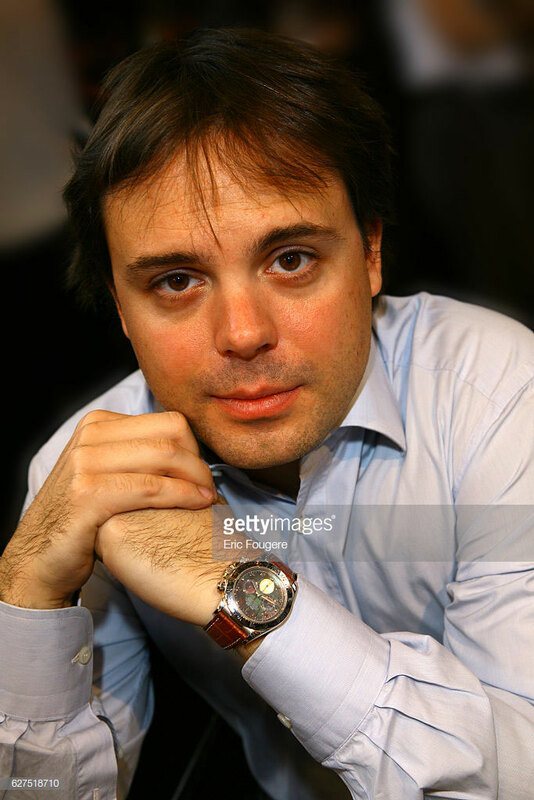 While his corporate strategy is evident in the sprawling Rolex facilities in Geneva and Bienne, his personal inclination towards platinum watches was equally well known. Almost every photo of Mr Heiniger shows him in a characteristically wide necktie, and when his watch is visible it was inevitably a platinum Rolex Day-Date (either the 36mm or the large Day-Date II) with the distinctive “Ice Blue” dial that debuted during his tenure. 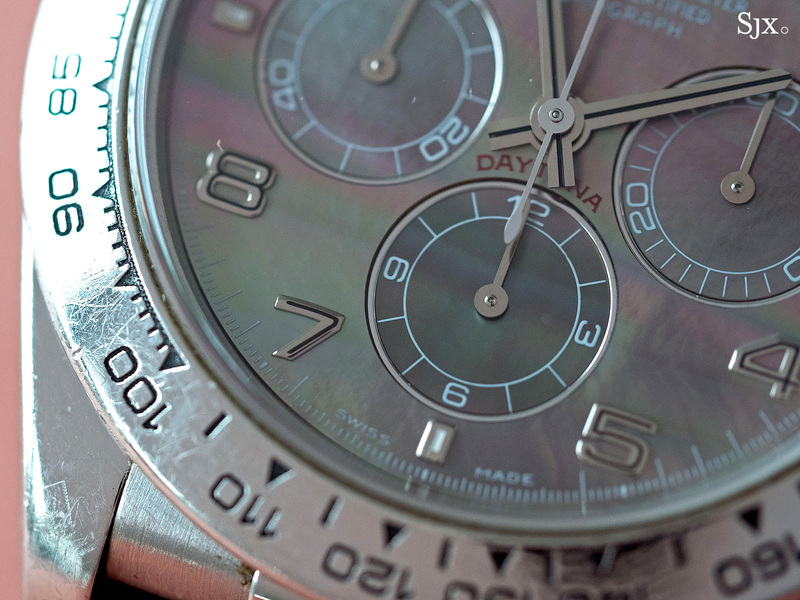 Consequently, a Cosmograph Daytona in platinum – the chronograph was the most complicated Rolex at the time – seems like the most sensible thing. On the surface the platinum “Zenith” Daytona looks like the same in white gold, not unlike the Daytona ref. 6265 in white gold that sold for US$6m last year, which looked very much like the steel version. The dial is a black Tahitian mother of pearl with Arabic numerals, the same dial that was also available on white gold models. In the hand the watch is weightier than a gold Daytona, though not substantially. It takes a closer look to reveal its unique nature. 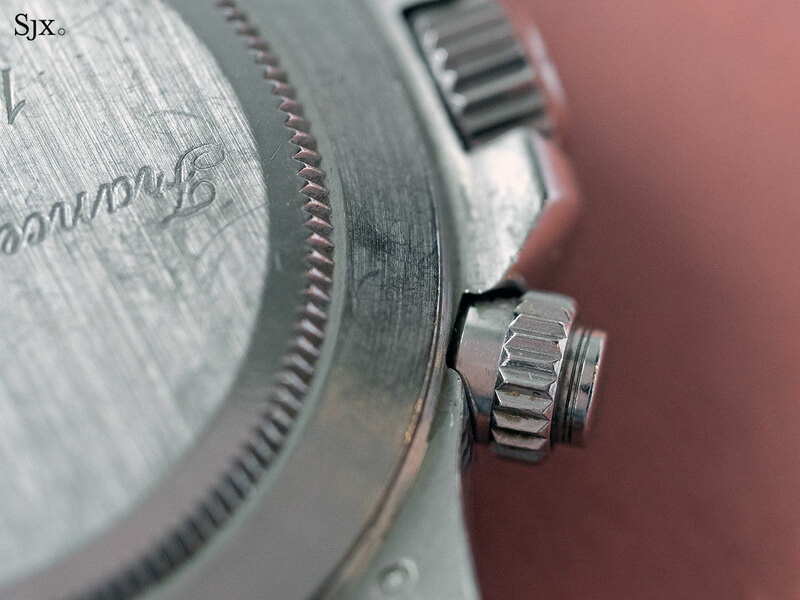 For one, the reference number that’s engraved between the lugs is unique and hitherto unknown. 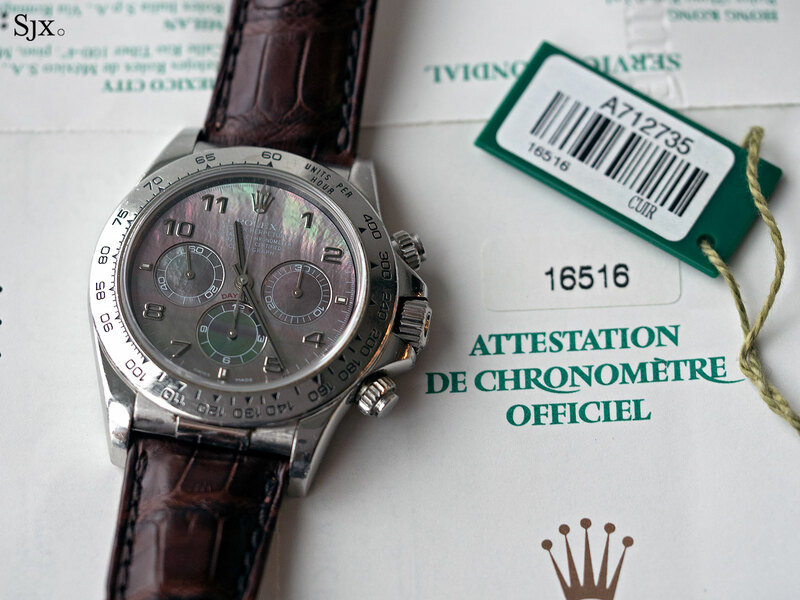 The final digit “6” indicates platinum; in contrast, the common 18k yellow gold Daytona is ref. 16518, with “8” indicating yellow gold. 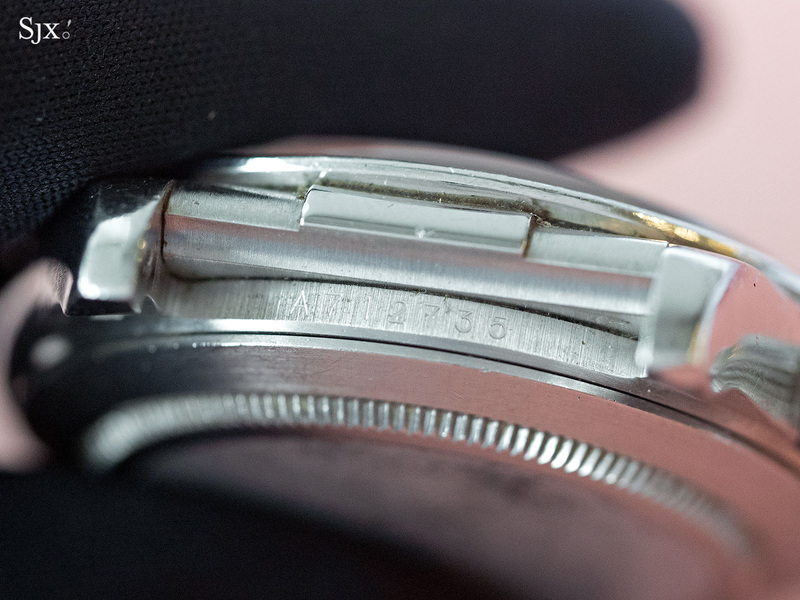 The other set of numbers between the opposite lugs is the serial number, which starts with “A”, placing it as a 1999 watch. Then there are the hallmarks. They are visible are on the back of the lugs, and also on the inside of the case back. The oval Rolex France hallmark. Interestingly, the crown and screw-down pusher also appear to be platinum, as there is no colour difference between them and the case. 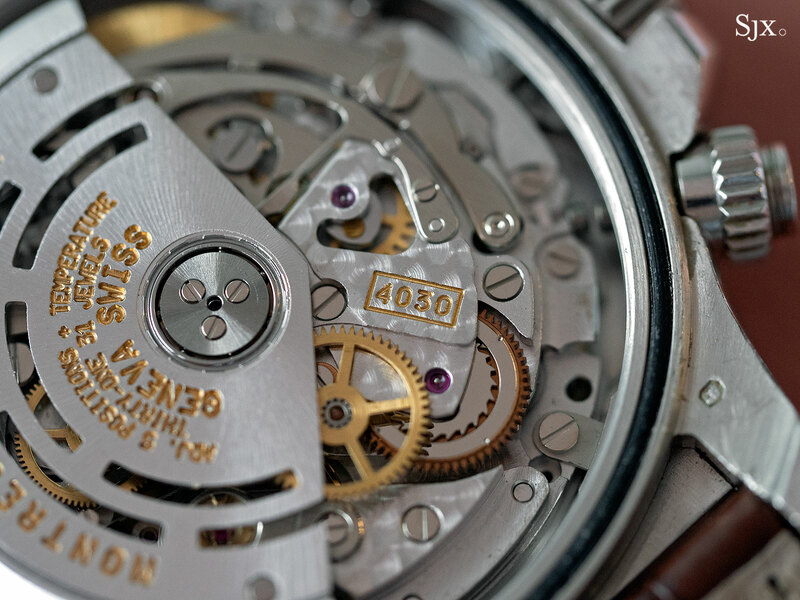 The movement inside is the standard Rolex cal. 4030, a modified Zenith El Primero running at 28,800 beats per hour (compared to 36,000bph in the Zenith version). 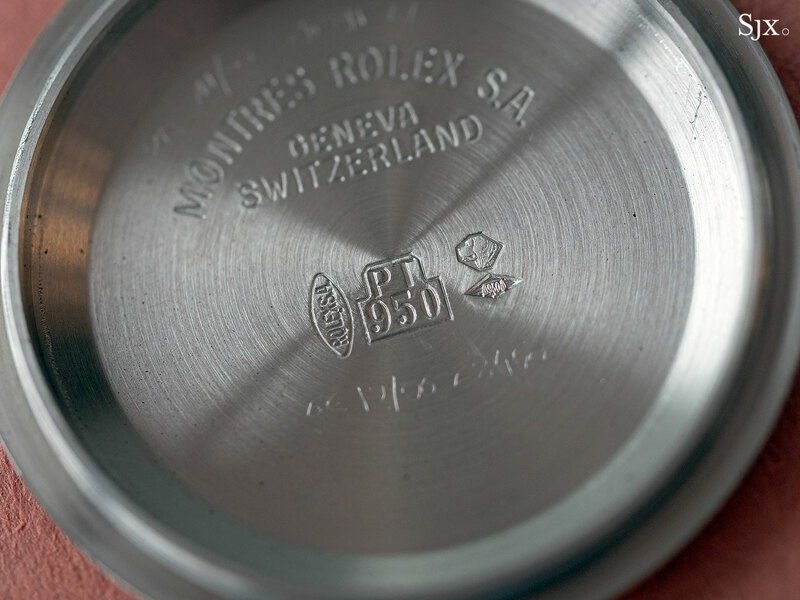 Service marks scratched on the inside of the back appear to indicate it was serviced twice before, including at Rolex in Geneva in December 2006. 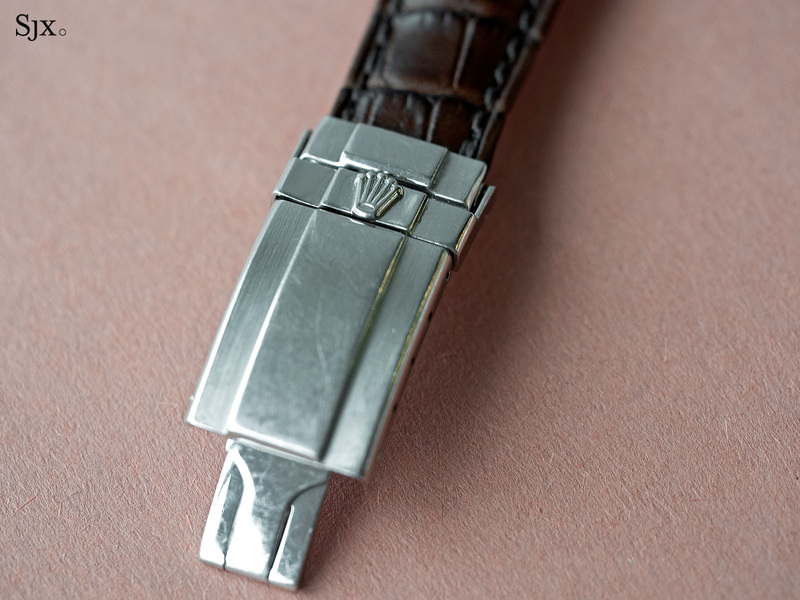 And then there is the platinum folding clasp, which is as unique as the watch, since it was made for no other model. 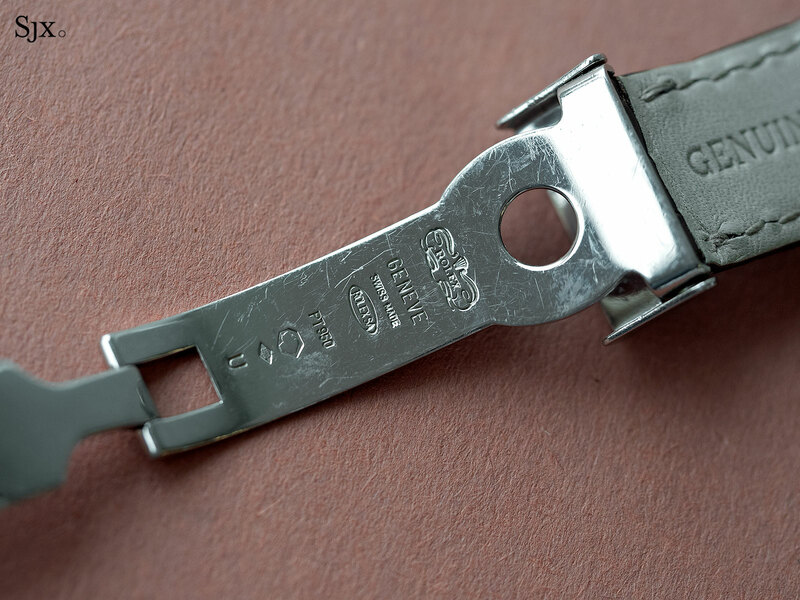 The “U” code on the clasp indicates it was produced in 1998 or 1999. 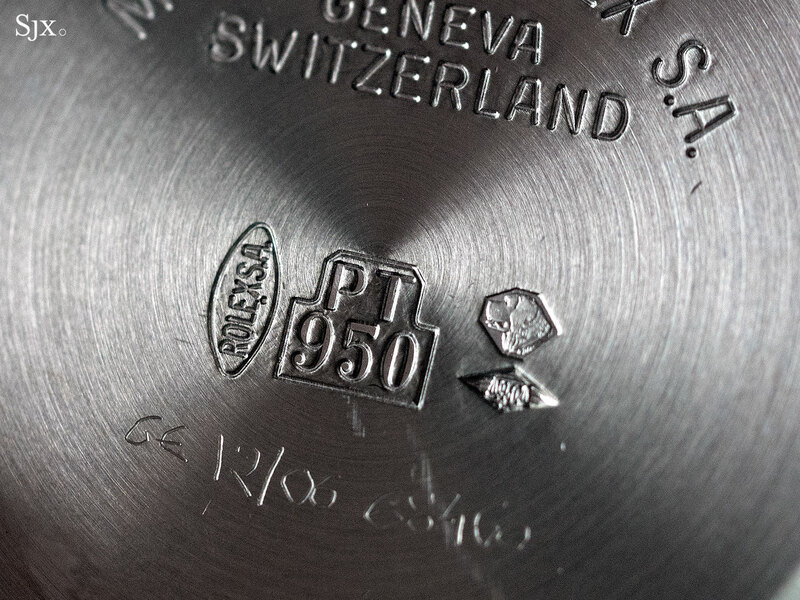 All of the crucial bits of the original packaging are included with the watch, including the warranty certificate and hang tag, both correctly numbered. 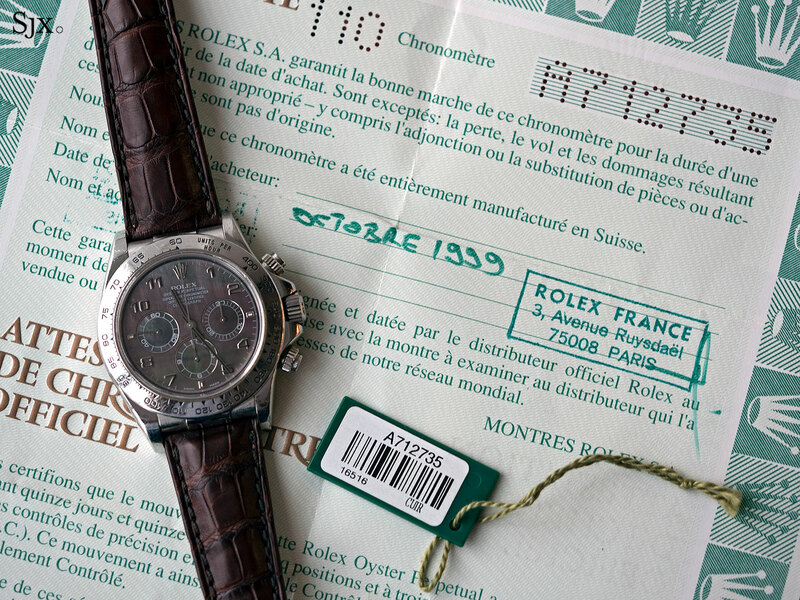 The certificate is stamped “Rolex France”, along with the country code “110” for France. Notably, both the date and stamp are in green ink. 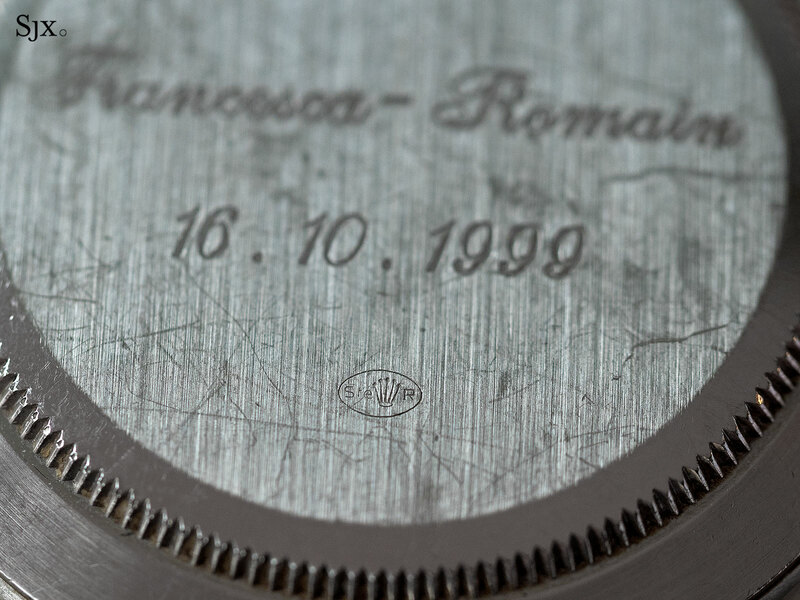 But just as interesting as the watch itself is the story behind it, which is why the case back is engraved “Francesca-Romain” and “16.10.1999”. 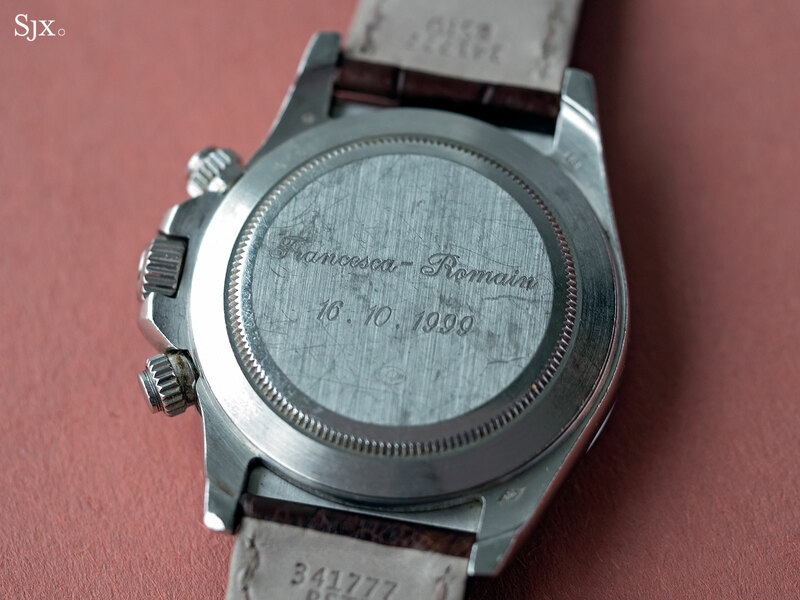 Exceptionally rare and historically important watches are only occasionally accompanied by well documented provenance. 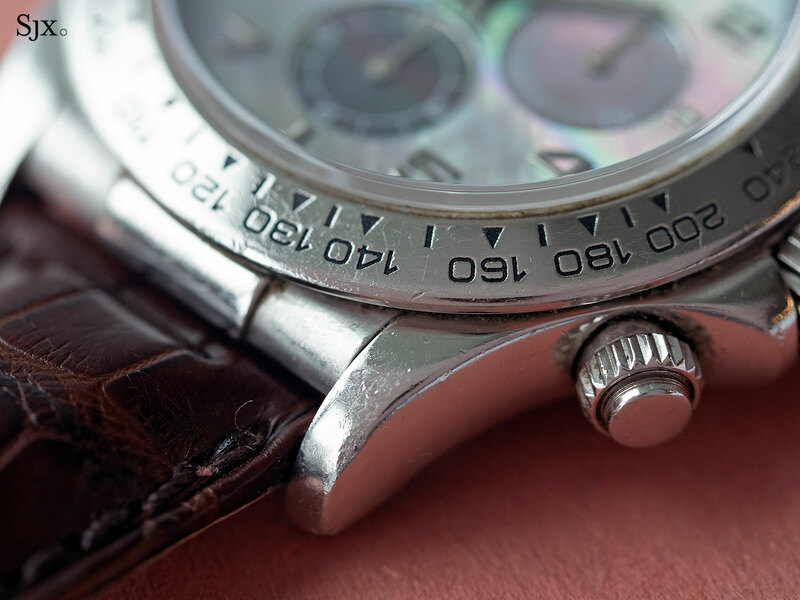 Due to client confidentiality, Sotheby’s can only say that this watch was consigned by the family that originally received it as a gift from Mr Heiniger. But as it turns out, a bit of investigation reveals the full story behind the watch. 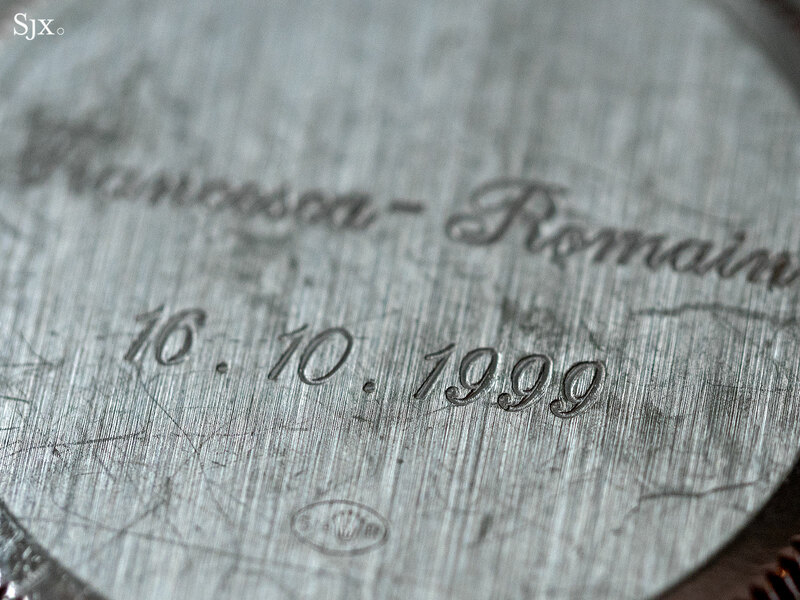 The watch was made as a gift for Francesca Gobbi and Romain Sardou, on the occasion of their church wedding that took place in Paris on October 16, 1999. The wedding was covered in the media, and images of the church wedding as well as dinner party are still available online. According to French news magazine Paris Match in 2016, the Sardous live in Paris and have three children. 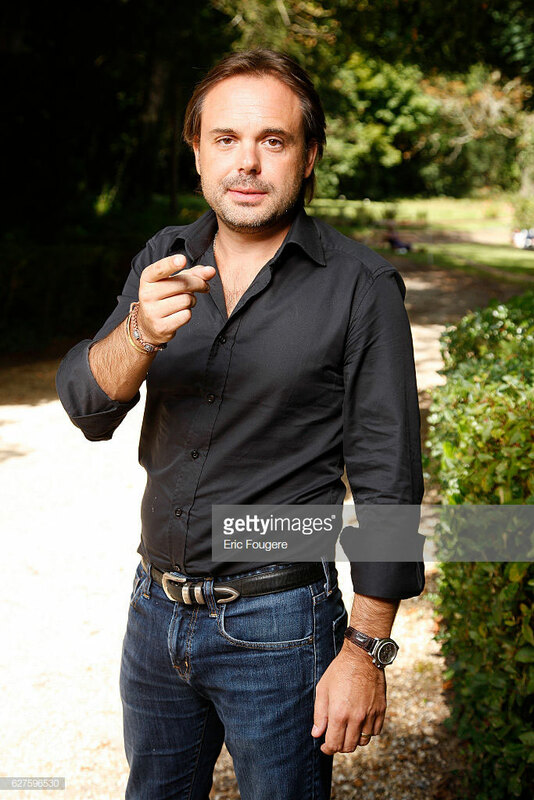 A novelist and television scriptwriter, Mr Sardou hails from a French family prominent in the arts that has produced singers, writers and actors. His father, Michel, is a singer, as was his grandfather and great-grandmother, while his mother was an actress. Photos of Mr Sardou over the years show him wearing the Daytona, which explains why it is visibly well worn. But the Rolex connection lies with Ms Gobbi. 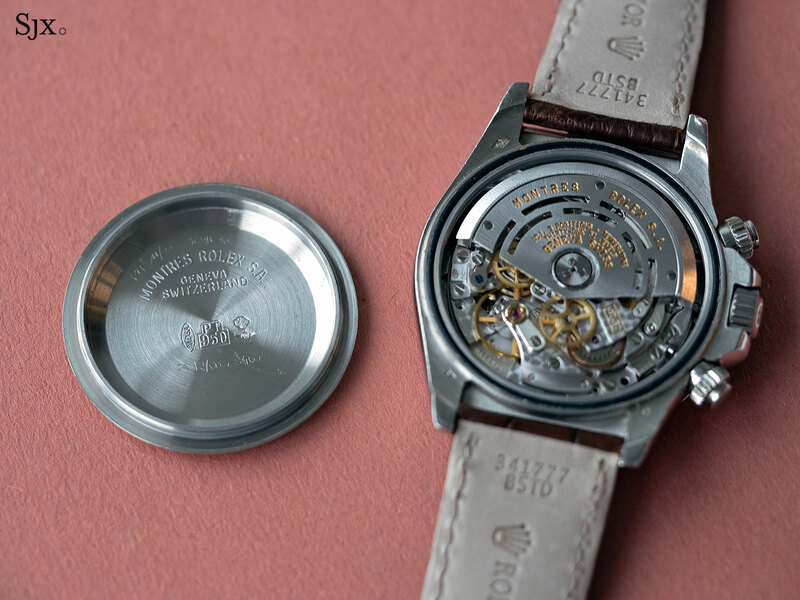 Her family owns Gobbi 1842, a famous Milanese watch store that started as a watch repair workshop in the 19th century before becoming a retailer in the 1930s. 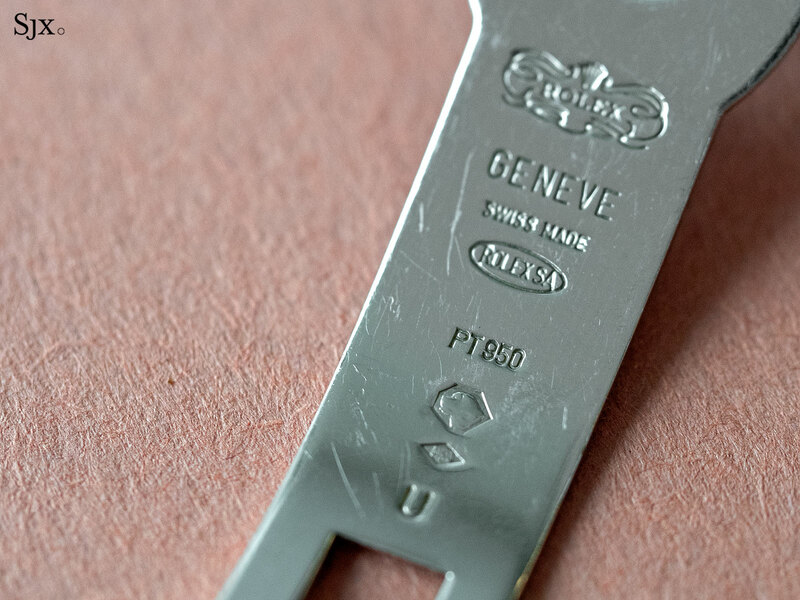 While it is likely Mr Heiniger had a notable personal relationship with the Gobbi family, there’s also the fact that Gobbi 1842 has been an important Rolex retailer for decades. And Italy was, and perhaps still is, the biggest market for Rolex in Europe. 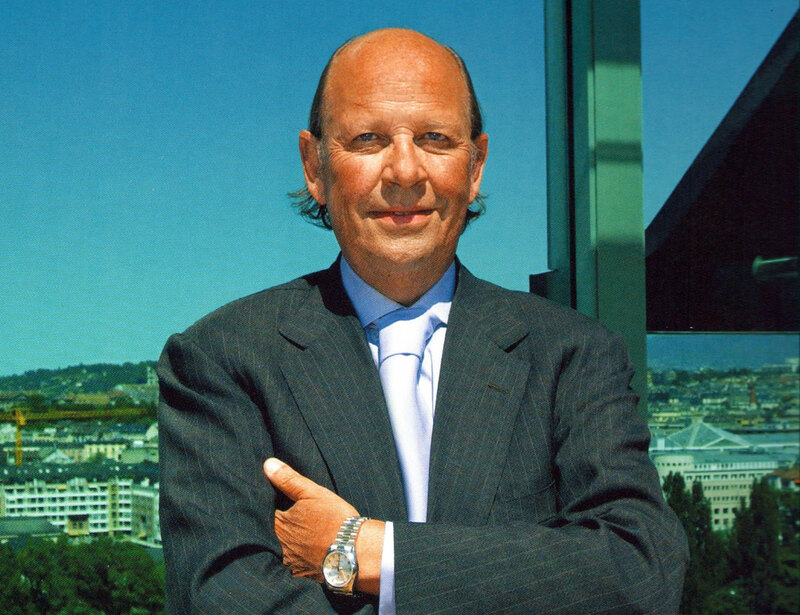 The fact that the country plays an outsize role in the Swiss watchmaker is evident in the fact that its chief executive from 2011 to 2014 was Gian Ricardo Marini, formerly the head of Rolex Italia. Born in Milan, Mr Marini is also the son of one of the three founders of Romalo, the Italian distributor for Rolex until 1993 when Rolex acquired the operation. 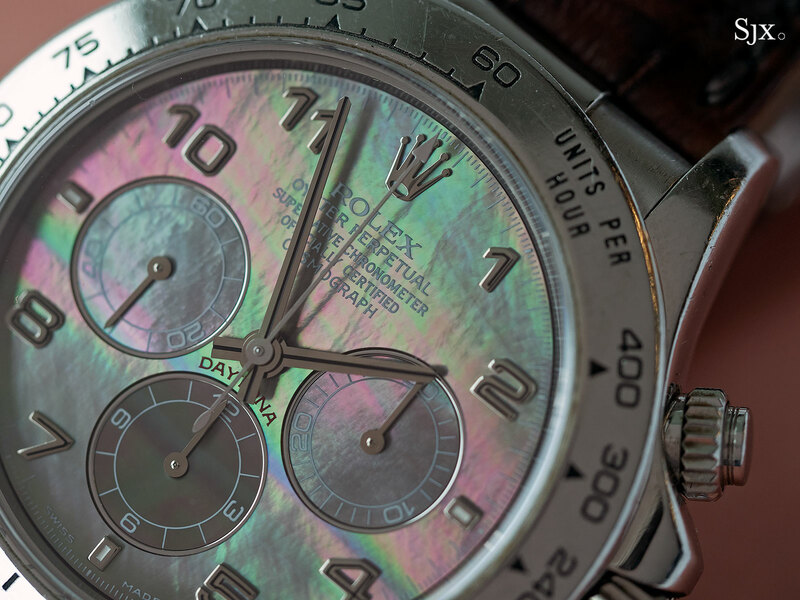 The Rolex Daytona in platinum, ref. 16516, will be sold at Sotheby’s Important Watches auction that takes place in Hong Kong on October 2, 2018. It is expected to sell for over US$500,000, or HK$4m.